Navratri is that time of the year when sounds of dhol, clapping of dandiya and foot tapping melodies get you grooving to the latest dance mixes from Bollywood. Navratri celebrations is among the most commercialized festivals in India that has grown into a mass celebration over the past few years. The nine days of the festival are dedicated to the worship of Goddess Shakti. If travel around India, you’ll get to see the different ways in which Navratri is celebrated in the country. There are many foreign tourists who come to India around this time of the year to witness the celebrations. Many South Indian states worship the goddess’ various incarnations such as Goddess Durga, Lakshmi and Saraswati. Women belonging to Iyer community often invite other married women to give them jewelries and sweets as gift. Gifting is a part of Navratri celebrations. You can observe this traditional way this year. In Andhra Pradesh people prepare “Batukamma,” adorning it with colorful flowers in seven layers. They worship Devi Shakti and universal motherhood. If you are in the southern state, you can go back to your roots and observe this ritual. 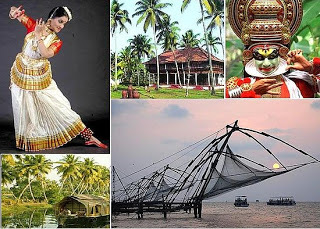 Kerala dedicates the last three days of Navratri to spiritual practices of eradicating literacy and worship Goddess Saraswati. In West Bengal, Durga Puja is celebrated around the same time. Devotees worship the victory of good over evil, thus paying homage to the eternal power of women both as a creator and destructor. In Gujarat, Navratri is celebrated to worship the source of life. A clay pot symbolizing Garbha- the womb of a mother, is worshipped. Dressed in colorful and vibrant costumes, people dance around the garbha in celebration. Dandiya is also a popular way of celebrating Navratri in Gujrat. Irrespective of the state you are in, dandiya has become an essential part of Navratri celebrations. In Maharashtra, people invest on property during Navratri, like buying cars, jewelries, a new apartment or even utensils. This practice has gained popularity in other states too. If you are in Punjab, participate in Jagarata, as a part of Navratri celebrations, by singing songs of Goddess Shakti. In Himachal Pradesh, Navratri is observed as the occasion when people come together with their friends and family to celebrate. On the tenth day people rejoice and celebrate the return of Lord Rama to Ayodhya after spending fourteen years in exile. Even if you are elsewhere, the festivities are incomplete sans friends and family. Navratri has transcended geographical boundaries. It is celebrated in Singapore, UK and various other foreign destinations abroad. If you are away in foreign land, you can still be a part of the annual gala that is the Navratri celebrations. Navratri is a festival which is celebrated with great passion. Travel around India & get to see the different ways of Navratri celebrations.